The 1975 - I Like It When You Sleep, For You Are So Beautiful Yet So Unaware Of It. Was für ein heterogenes Album. Da gibt es Dance-taugliche Songs wie "Love me", "UGH! ", "She's american", "The Sound" oder "This must my dream", die sind toll. Und dann so sphärische Nicht-Songs wie "If I Believe You", "Please Be Naked", "Lostmyhead" oder "The Ballad Of Me And My Brain". It's quite a heavy album, which is unexpected for a modern pop/rock group but with 3(?) songs being mostly instrumental, and some of the songs being unusually long, it certainly fills out. The two end tracks, Nana and She Lays Down are my two favourites here, both very easy and light listens, which is at odds to what the rest of the album mostly offers. That's not to say that the opposite of this is bad. 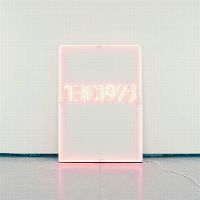 The production is mostly sharp by The 1975, which is needed for some of the strange lyrical choices. It's solid, and probably would average higher for me if it weren't for the strange instrumentals. 3.9/6.